Making history doesn’t always come easy. 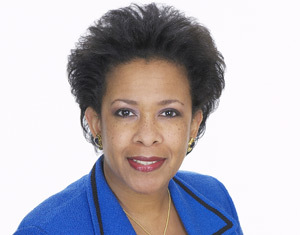 But that’s what Loretta Lynch did on Thursday, finally securing the Senate confirmation as the new Attorney General, the first African American to do so. The five month battle played out, with some Republicans opposing her because of her view on immigration reform. CNN reported that the vote was 56-43. Ten Republicans, including Senate Majority Leader Mitch McConnell, joined Democrats, CNN reported. Texas GOP Sen. Ted Cruz was the only senator not to vote. Posted: 4/23/15 at 2:49 PM under News Story.